We took our metalworking experience, combined it with woodworking know-how and have designed industrial-grade shaper cutters that are second-to-none in cutting performance. Five blade cutterheads, micro grain carbide that is precision-ground to 600 grit for razor sharp performance, high speed balancing plus ground top and bottom arbor seats leave a finished surface on the wood that is unbelievable. 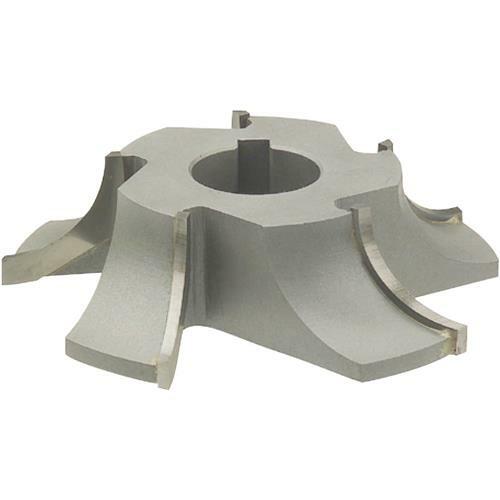 We even put in a 5/16" keyway for use of these cutters on milling machines! 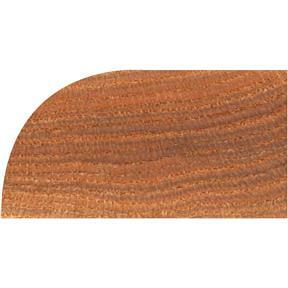 During our "torture" testing, we took full profile cuts in mahogany and found results to be astonishing. Then came the tricky part. We wanted to cut through a large knot in the wood (don't try this at home). It cut right through the knot and left a finish that looked like it had been sanded and buffed. At that point, the person who designed these advanced shaper cutters (the President of Grizzly) was grinning from ear to ear! 1-1/4" bore. Max RPM: 8,500.